?The Sixth Order wields the sword of justice and smites the enemies of the Faith and the Realm." Vaelin Al Sorna was only a child of ten when his father left him at the iron gate of the Sixth Order?a caste devoted to battle. Vaelin will be trained and hardened to the austere, celibate and dangerous life of a warrior of the Faith. He has no family now save the Order. Vaelin’s father was Battle Lord to King Janus, ruler of the Unified Realm?and Vaelin’s rage at being deprived of his birthright knows no bounds. Even his cherished memories of his mother are soon challenged by what he learns within the Order. But one truth overpowers all the rest: Vaelin Al Sorna is destined for a future he has yet to comprehend. A future that will alter not only the Realm, but the world. 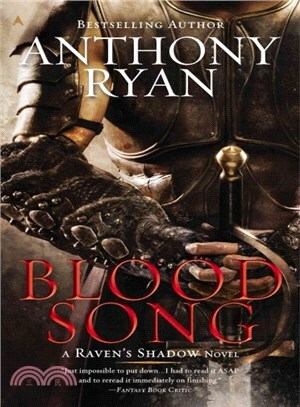 Anthony Ryan is the author of the Raven's Shadow novels Blood Song and Tower Lord. He lives in London.